1. Forks of Cheat grows its own grapes just north of town. 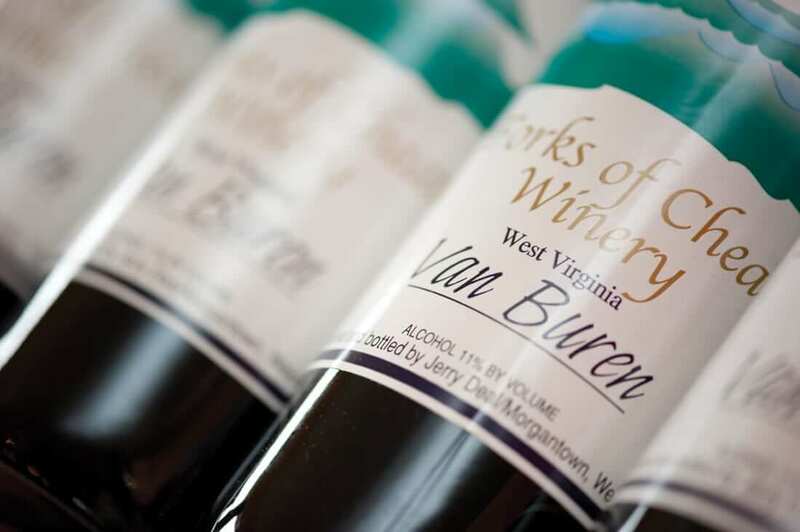 What could be more picturesque than 16 acres of grape vines in a West Virginia river valley? 2. Four signature reds, two whites, and a blush wine, ranging from sweet to dry. 3. So many fruit wines, fermented from fruit sourced as locally as possible and made entirely from the fruit on the label: apple, raspberry, blueberry, plum, and others. 4. The Deal family that founded the winery in 1990 and runs it still today participates in wine festivals across the region. 5. Tours, tastings, and lots of summer catered events on the expansive pavilion with live music: 2017 themes included Caribbean, Low Country seafood boil, and Oktoberfest.